Knowing that many of you have read lots about our retreat over the past few days from all of our blogs, I wanted to do one more post that I know you ALL could appreciate. We had a bit of a show and tell and I am going to tell you these ladies are just sooooo talented!! 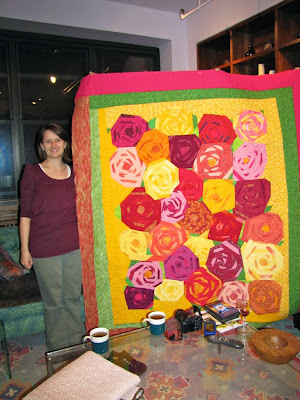 Her beautiful Rose quilt made as a wedding gift! If you are going to the Empire Quilt Guild show in a few weeks, keep your eye out for this one you may just see it there... wink, wink. 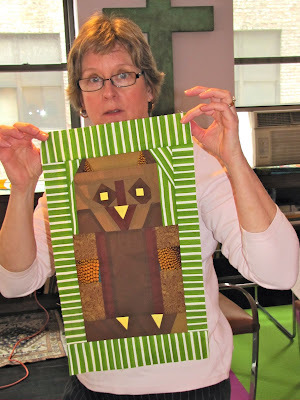 Karen had made this quilt as part of an AQS challenge... New Twist from an Old Favorite. 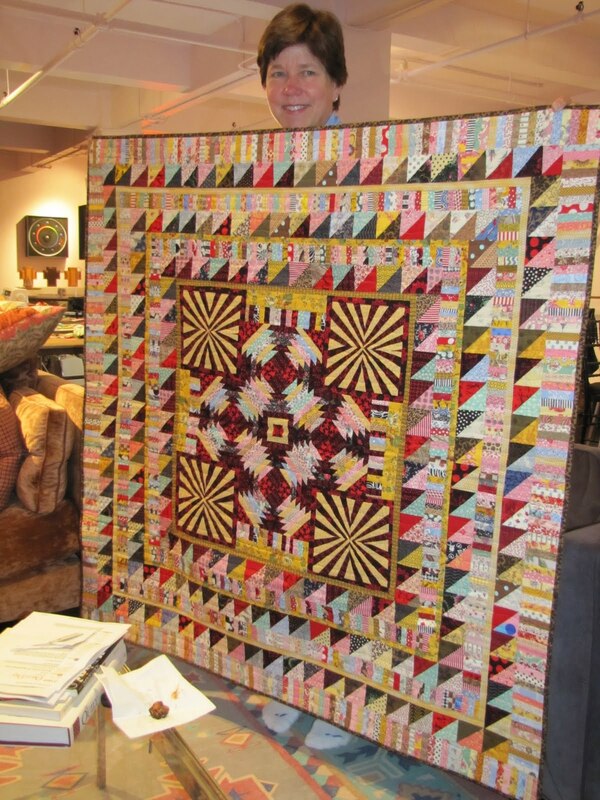 She did a fabulous job and even has the piece count on this one!! Bonnie shared her needle turn mosaic tiles. I was just enamored by them, simply gorgeous. Oh, and what a treat this was... LeeAnn brought her beautiful Eyelash quilt with her. Let me tell you, it is so much more beautiful in person. 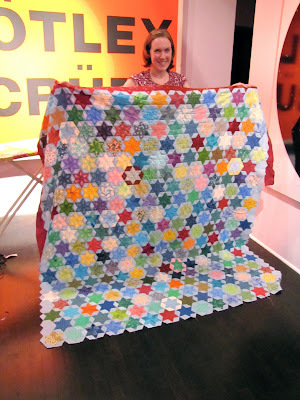 And Victoria's beautifully bright Star Splitter quilt is just one of my all time favorites! I love it! Keep your eye out for this one at the show too! 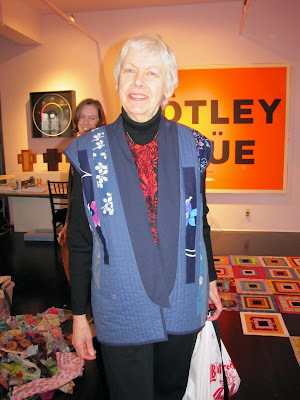 Helen brought along 3 quilted garments. She layered them on her body and with the help of a little music... they came off one at a time. The first one was a gorgeous Asian inspired vest. 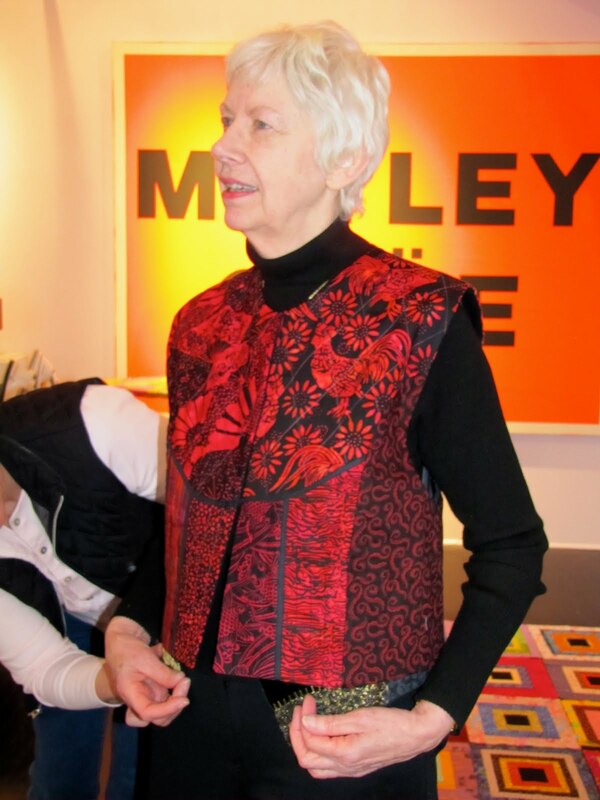 The second was a beautiful reversible batik vest. 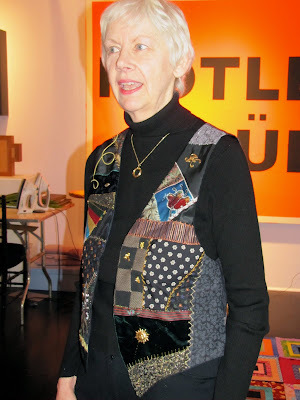 The third was a gorgeous crazy quilt vest complete with very meaningful embellishments. Jessica had this jaw dropping star quilt. It is all English Paper Pieced and done so impeccably. Simply stunning! Kim was channeling her inner Bard Owl... don't you think? How cute is this? Love it... hoot, hoot. So there you have it a parade of NY beauties. Come back on Thursday for something extra special! !